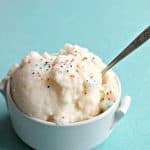 Snow Ice Cream | Easy 4 Ingredient Dessert Made with SNOW! 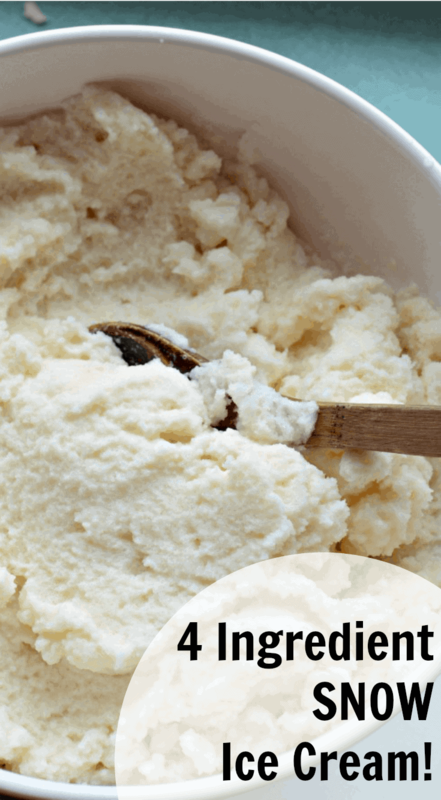 This easy snow ice cream recipe is made with just 4 ingredients: fresh snow, evaporated milk, a little sugar and vanilla. Four ingredients never tasted so good! 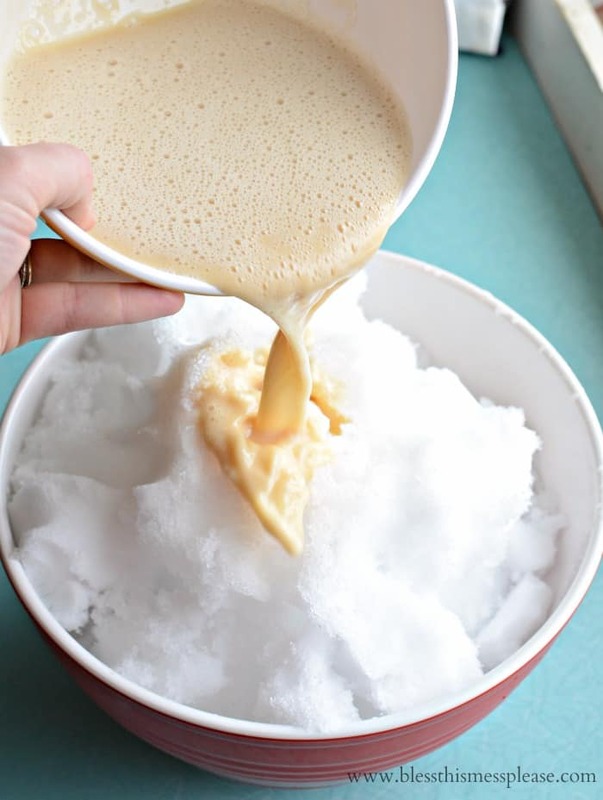 Have you ever made ice cream out of simple snow? This is one of our all-time favorite recipes to make in the middle of a snow day with the kids. It’s fun, novel, super easy, and it tastes just like homemade ice cream you make in the summer (with a fraction of the work). I can’t wait for you to try it! 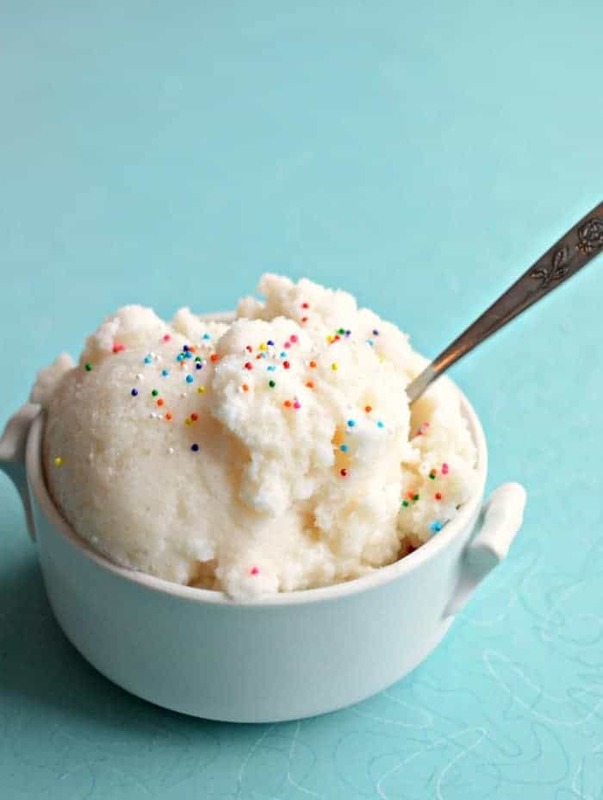 I found my mom’s snow ice cream recipe on page 82 of our family cookbook! That should have been the first place I looked; it’s such a fabulous book filled with family treasures. This recipe is so much fun! I really hope you get a bit of snow this week just so that you can make it. 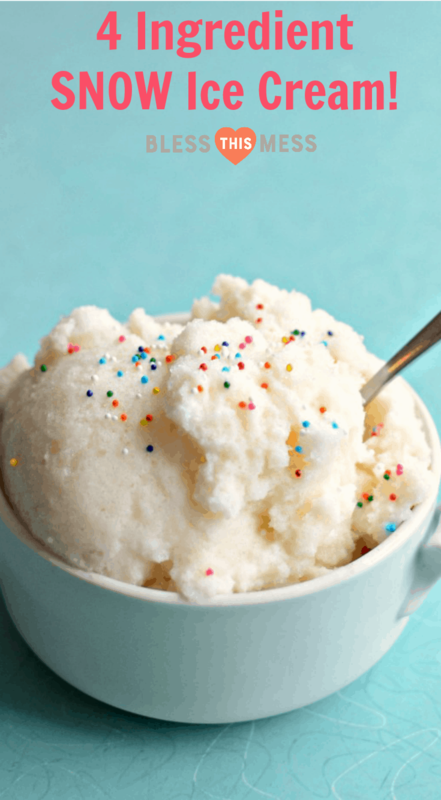 Just stir together 3 simple ingredients, add a bit of snow, bust out the sprinkles for good measure, and you have yourself one very simple and fun treat for after school that takes about 5 minutes to toss together. My kids were completely amazed at how fun and easy this little recipe was. Extra mom points for me! I have a vivid memory of my mom making snow ice cream for us in a giant white bowl that she often stirred her caramel corn in. She collected the snow out the back door of our house in the country and we sat around the bar in the kitchen eating right out of the bowl. Isn’t it funny how little things stick with you over the years? I’m excited to make this a tradition in my house, too. 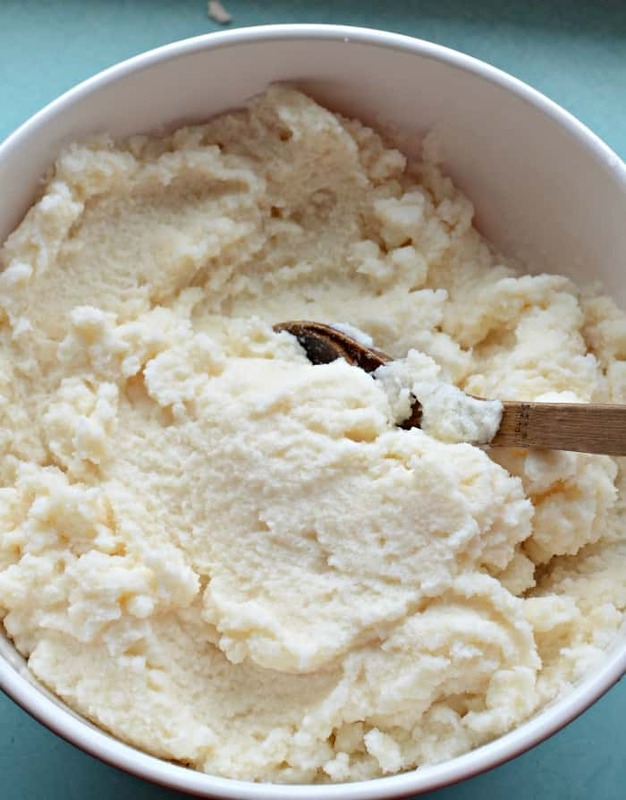 The texture of your snow will effect how much is needed to make your ice cream. Wet, heavy Indiana snow will need less than light and powdery Utah snow. Add your milk mixture a little at a time and stir often. The texture of the snow ice cream is just right when it reminds you of homemade ice cream right out of the churn. It will be just a little on the thin side like a milk shake. This is such a simple recipe – let the kids help and make it just because! Long live all the cute sprinkles. Other things I like to do on snow days – meal plan while the kids are there to throw out their ideas, make the best chocolate chip cookies ever, and get this easy veggie-filled lasagna in the slow cooker so I don’t have to think about dinner. All good ideas. 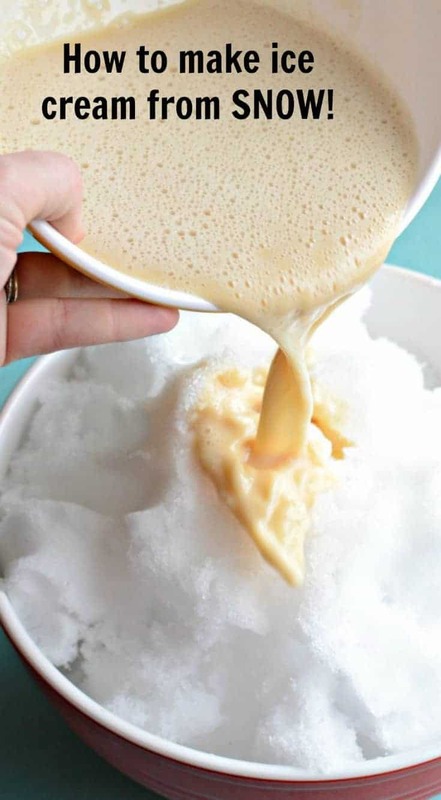 This snow ice cream recipe is made with just 4 ingredients: fresh snow, evaporated milk, a little sugar & vanilla. Four ingredients never tasted so good! In a small bowl, mix the milk, sugar, and vanilla together until well combined. In a large bowl, add about 8-10 cups of snow. Pour the milk mixture over the top and stir well to combine. The texture will be close to that of homemade ice cream (thinner than store-bought ice cream but still have some structure when scooped). Serve right away, adding sprinkles if you’d like. The amount of snow is going to depend a lot on your snow. Mine was extra wet and heavy that day and about 8 cups was perfect. If your snow is drier, you might want to add quite a bit more. Let the taste and texture be your guide and don’t be afraid to add a little extra snow as needed. This is about what it should look like when you have it all stirred together. I had a bit too much snow, so it wasn’t as sweet as we wanted it, so start with less snow and add to the bowl as needed. Enjoy some memory-making, friends, and thank you so much for stopping in. This post was originally published in March 2015 and has been updated in January 2018. This can also be made with regular milk (whole is best). It’s probably a little runnier, but still delicious. 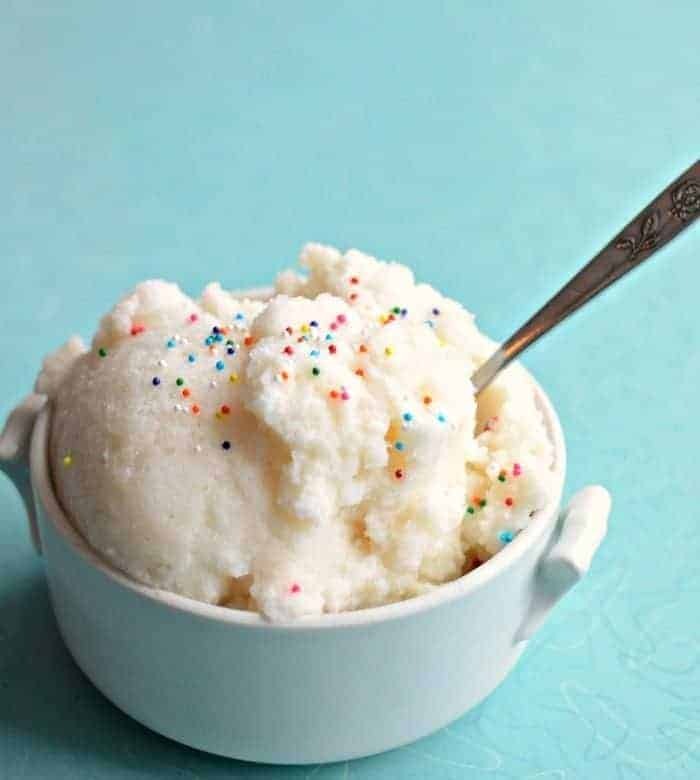 We don’t currently live where there is snow, but when we lived in Idaho my kids LOVED to make snow ice cream. Yum. Awesome! Now I have the measurements for “some”……oh how could I have forgotten the vanilla!!!! Fond childhood memories at the cabin at Lake Tahoe! Wouldn’t ya know….I just left my Utah snow for a roadtrip visiting parentals……of course, no snow where they live now! Argh. Maybe we will have another great storm when I get back home! Happy Day! I was inspired to make some like this last winter and almost forgot to try again so thanks for posting this reminder! I’m 77 yrs. old now and we used to make this every winter. The snow was a lot cleaner back then. I had forgotten how to make it. Thanks for recipe , it brings back a lot of memories. I read your comment out loud to my family because it made my day! Thank you for sharing it with me! Judy in St Louis MO. We have about 12 inches so far so that should make enough snow for my ice cream tomorrow.